South Korean manager Shin Tae-yong has admitted in a press conference that he made his players wear different squad numbers in their recent friendlies to confuse Swedish spies who were there to assess the tactics and players used before Sweden take on South Korea in the World Cup opener. 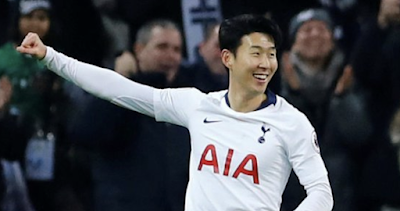 Shin said the only two players to keep their usual numbers were Son Heung-min and Ki Sung-yueng, that was most likely done as the duo are easily the most well-known Korean players in the World Cup squad as they both play in the Premier League for Swansea City and Tottenham Hotspur. Although Ki has left Swansea following their relegation, both of them would be easy enough to pick out for a non-Korean scout. Why has Shin resorted to seemingly drastic measures? Shin has resorted to these measures because it has been claimed, and since admitted by Sweden that they sent scouts to check on South Korea’s closed training sessions. There were even rumours that they had rented a house near Korea’s training pitch which would coincide with the Swedish manager's assertion that the scout watched from afar after not realizing Korea were having a ‘closed session’. Shin claims that westerners find it difficult to know who is who by looking only at Asian faces, I saw a lot of people online say it is racist to say this, however, it isn’t racist its actually factually true. The same applies to Asian when looking at Western people. Is shin Tae-yong a mind game genius? In all of the build-up to South Korea vs Sweden game Shin has been coming up with creative ways to hide his tactics from the Swedish scouts. He has often changed his tactics and players around in the warm-ups preferring not to use the same formation throughout the buildup. Now though, the whole changing the numbers thing has taken the mind games to a new level, will his cloak and dagger approach work during the game? It’s difficult to know that beforehand but with Shin’s mind games it is unlikely Sweden will know how South Korea is planning to approach the game, and credit for that has to go to Shin. Korea will be hoping that it will be effective. Sweden manager Janne Andersson has claimed it has all been a big mix up, and Korea is making a mountain out of a molehill. He claimed his scout didn’t realise that the training sessions were closed sessions so therefore went to have a little peek. The issue is that once he realised it was a closed session after his little sneak peek, he didn’t just leave. He went to find a place where he could watch the Koreans train from afar, this seems to have sent Shin into his mind game genius territory. He has shown the Swedish management that if they want to try and spy, then he will find a way to mess with them, and won’t just let them crack on and do it. Shin be the man! Will Shin’s mind games help Korea achieve victory? South Korea and Sweden is a game that is more evenly matched than a lot of people realise, Korea has good attacking options, and Sweden has a solid defence. It is going to be an intriguing matchup as any game involving a European side and Asian side are. South Korea vs Sweden kicks off at 8pm Taiwan time.